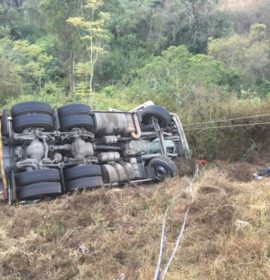 Paramedics from Emer-G-Med responded to an MVA on the N5, 20 km towards Kestell for a truck that overturned. 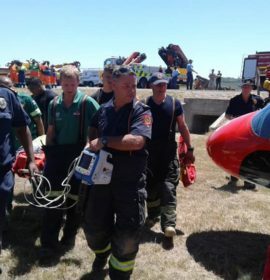 One patient treated and transported to a nearby hospital. 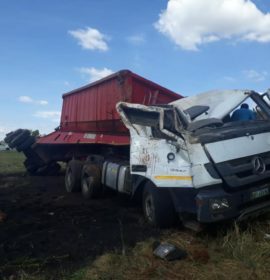 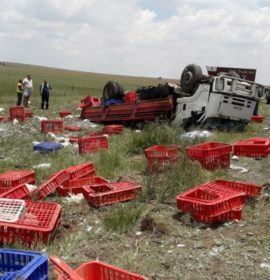 One killed in truck rollover on the N3 North of Villiers. 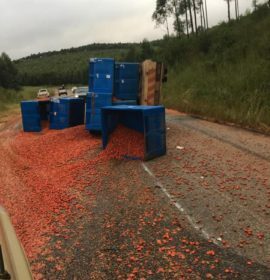 A truck overturned on the N3 North of Villiers. 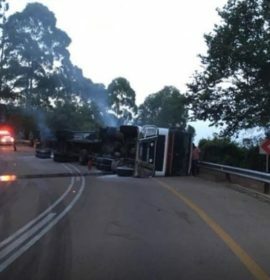 1 Declared Dead on scene. 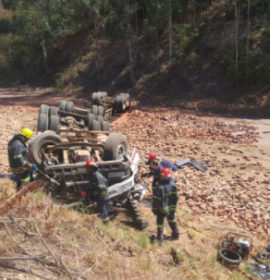 Moderately injured transported to Mafube Hospital in Frankfort. 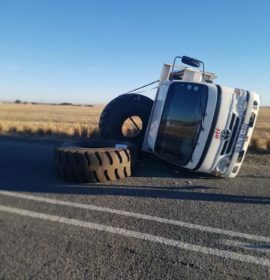 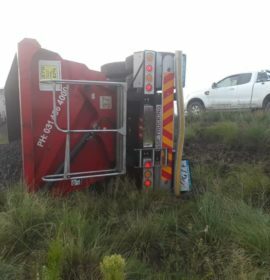 Truck rollover on the R34 about 6 Kilometers from Heilbron to Frankfort. 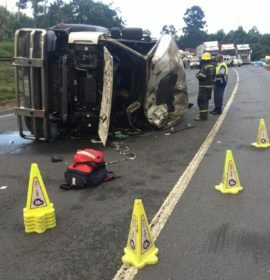 Truck overturns leaving man seriously injured near the Hammersdale turnoff in Hammersdale, KwaZulu Natal.